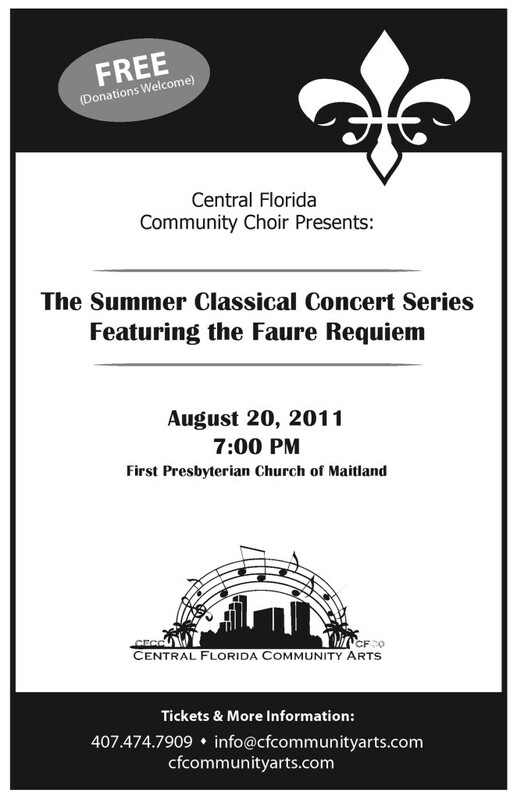 Come out and enjoy an evening of classical music performed by Central Florida Community Arts featuring the John Rutter version of the Faure Requiem. It is the first in a brand new concert series of classical music during the Summer. The concert will also include solos composed by French composers from Bizet to Lakmé. This concert is FREE with donations suggested and will be an evening you won’t forget so mark this on your calendars right away! !